and this is my sons 1st trad. deer. Well done to the both of you; I think hunting with a selfbow to be the pinnacle of the game, and my hat's off to you! Good job catfishon!! to you and your son. 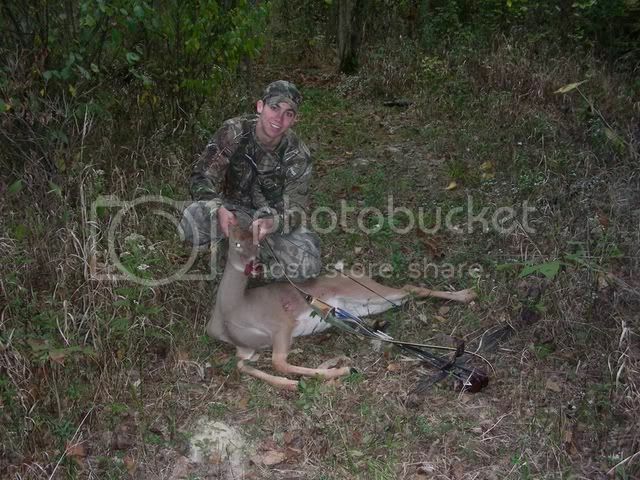 Beautiful deer and beautiful bows!! Congradulations to both of you. Nice buck, congrats!!! What county did you get him in? I hunt in Owen and Clay counties. Good going! Great accomplishment for both of you Congrats! killed it on jackson ,jennings line. Thats one heck of a buck! Congratulations!!! Very nice! Do you have a pic of your Osage bow? Never drop your gun to hug a Grizzly.